FCPA Enforcement Against Foreign Companies: Does America Know Best? As the first country to enact an anti-bribery statute for conduct aimed at foreign government officials, the United States has long set the bar for measures against corruption. 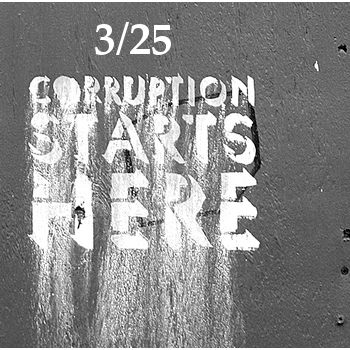 In 1977, Congress enacted the Foreign Corrupt Practices Act (FCPA) in response to the discovery of widespread bribery of foreign government officials by U.S. companies. However, over the last three decades, U.S. assertions of jurisdiction under the FCPA have become far more extensive, raising questions of whether America’s robust enforcement efforts were appropriate, especially in cases that have only a slight relation to any U.S. entity or commercial activity. This article first gives a brief overview of the FCPA and the United States’ jurisdiction under it. It then explores whether the law’s broad reach is desirable, and concludes that it would be prudent, both legally and politically, for the U.S. to rein in its overreaching. I. Who Does the FCPA Cover? The amendments also extended the FCPA’s nationality-based jurisdiction. The FCPA today reaches the acts of any U.S. citizen, national, or resident (“domestic concern”) committed abroad, so long as the domestic concern made some use of the mails or any other means or instrumentality of interstate commerce. Moreover, the FCPA applies to corrupt acts by American nationals and U.S. entities outside the U.S., irrespective of whether there had been a use of the mails or any other instrumentalities of interstate commerce. This means that U.S. nationals and entities can violate the FCPA through their actions abroad, even absent any nexus to U.S. industry or commerce. [t]he term [interstate commerce] . . . includes . . . . placing a telephone call or sending an e-mail, text message, or fax from, to, or through the United States . . . as does sending a wire transfer from or to a U.S. bank or otherwise using the U.S. banking system, or traveling across state borders or internationally to or from the United States. For the purposes of nationality-based jurisdiction, this means that a simple phone call or email can subject a U.S. resident to the provisions of the FCPA. Regarding territorial jurisdiction, these agencies have gone even further. For example, the DOJ has asserted territorial jurisdiction over a foreign company based solely on the transmission and storage of emails on U.S. servers. Since a large proportion of FCPA investigations result in pre-trial agreements with government enforcement officials,  there is a relative dearth of case law relating to FCPA jurisdiction. Moreover, due to more lenient penalties for companies that self-report and assist with DOJ and SEC investigations, companies rarely challenge these agencies’ assertions of jurisdiction. In 2013, for example, all resolutions between corporations and enforcement agencies on FCPA allegations were realized through negotiated settlements, not litigation. As a result, the DOJ and SEC’s broad assertions of jurisdiction have gone largely unchecked. Some courts, however, have placed limitations on U.S. jurisdiction under the FCPA. In U.S. v. Patel, for example, the D.C. district court denied territorial jurisdiction over a U.K. citizen for allegedly mailing a package containing a corrupt purchase agreement from the U.K. to the U.S. Cases as extreme as this call into question the expansive construction of territorial jurisdiction that the DOJ and SEC have adopted in enforcement actions against foreign entities and individuals. The agencies themselves, are, of course, still sticking to their exorbitant guns. Individuals who violate the FCPA’s anti-bribery provisions can face fines up to $100,000 as well as civil penalties of up to $10,000 per violation. Moreover, for willful violations, individuals can be imprisoned for up to five years. Corporations convicted of criminal FCPA violations can be fined up to $2 million. Under the Alternative Fines Act, penalties can be even more stringent—they can reach up to two times the “benefit that the defendant obtained by making the corrupt payment.” In 2013, nine companies paid $720 million in criminal and civil penalties, disgorgement, and pre-judgment interest. The reach of the FCPA is rather long; after all, foreign firms are often those most affected by the FCPA. According to Shearman & Sterling, foreign companies were slapped with over 90% of the penalties imposed on corporations in 2010 under the FCPA. Generally, the United States recovers from the violator through criminal forfeiture by the DOJ or civil disgorgement of profits to the SEC. The benefits of the bribe to the payee, however, are rarely recovered by U.S. authorities, with rare exception in cases where the money is laundered through U.S. channels of commerce. The majority of the proceeds from FCPA enforcement actions go into the U.S. Treasury. 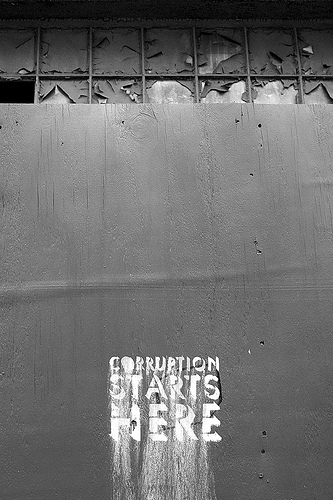 Although the “the United States can and does assist foreign governments in recovering the proceeds of corruption regardless of whether the corruption in question falls within the jurisdiction of the FCPA,” this is not a common occurrence, since the United States generally does not consider foreign governments that were complicit in the bribery scheme to be the victims of corruption. Upon reviewing the jurisdiction and penalties of the FCPA, a number of concerns regarding its broad jurisdiction become apparent. First, when the home countries of defendants prosecute anti-bribery cases themselves, defendants may be subject to multiple enforcement actions. For example, Statoil ASA, the first foreign company to face an FCPA enforcement action, paid $10.5 million in penalties to the DOJ and $10.5 million in disgorgement to the SEC after having already paid $3 million from a prosecution in Norway, where it was headquartered. The U.S. similarly prosecuted a foreign corporation that was willingly investigated by its own country’s government in its case against Siemens AG, a German corporation. Multiple prosecutions mean the possibility of multiple penalties for a single violation, a potentially unjust outcome. Second, prosecuting cases under the FCPA’s territorial jurisdiction presents significant evidentiary hurdles. Because important evidence and witnesses in many (if not most) FCPA cases are located abroad, U.S. authorities must often either rely on foreign governments or expend relatively more U.S. resources to collect the materials they need to build an FCPA case. While this difficulty might be justified for the prosecution of a U.S. national, it is less defensible in the case where the U.S. is prosecuting a foreign national for corrupt acts in a foreign country. The justification for overcoming these evidentiary hurdles becomes even weaker where the defendant is already being prosecuted by the defendant’s home country or by the country where the act was committed. Third, the United States’ increased regulation of business conduct of non-U.S. companies raises concerns over American imperialism and U.S. bias against international companies. Respect for the sovereignty of foreign countries is one of the most controversial issues relating to U.S. investigation and prosecution of non-U.S. companies. “Victim” countries may have a greater interest in prosecuting the corruption. Moreover, other countries often have different attitudes toward law enforcement methods and different rules about the use of private information than the United States, which can lead to negative perceptions of U.S. FCPA actions. These concerns over American meddling are compounded by the source and destination of the FCPA penalties. Since the majority of monetary penalties come from foreign companies, there are serious questions of whether the governments “victimized” by their own organizations should receive the proceeds instead of the U.S. Treasury. As one commenter put it, “I am not sure where criminal fines should go when a French company bribes Costa Rican ‘foreign officials,’ but I am pretty sure that the answer should not be 100% to the U.S. Treasury.” This critique is especially forceful in cases where there is no evidence that U.S. companies suffered as a result of the corruption. Lastly, broad jurisdiction under the FCPA may no longer be necessary given the now widespread international efforts to combat corruption. As Congressional testimony before the passage of the 1998 amendments suggested, one of the primary reasons for broadening the jurisdiction of the FCPA — besides effectuating the principles of the OECD Convention on Combating Bribery — was protecting U.S. business interests. Prior to the expansion of the FCPA’s jurisdiction, U.S. businesses were at a relative disadvantage to foreign competitors because they were prohibited from engaging in corrupt activities to generate business while many foreign companies were not. Giving the U.S. expansive jurisdiction, it was thought, would mitigate this problem. Since 1998, however, many countries have adopted similar anti-bribery legislation, meaning the playing field for U.S. businesses is more level in terms of compliance with anti-bribery legislation. Thus, it may no longer be necessary for the U.S. to act as the world’s policeman in order to protect U.S. businesses. Given some of the potential problems with broad jurisdiction under the FCPA, it may be time for policy makers and agency heads to revisit the issue. However, shrinking the FCPA’s jurisdiction through broad legislation could leave gaps in enforcement that could hurt U.S. businesses and undermine the U.S.’s commitment under the OECD Convention. As such, the best way to mitigate the jurisdictional problems may be for the DOJ and SEC to adopt a more conservative approach when exercising their prosecutorial discretion. One of the most controversial aspects of assertions of extraterritorial FCPA jurisdiction is that the DOJ and the SEC may still have jurisdiction in cases where the company’s home country is willing to bring domestic actions against the company. Deferring to the home country’s enforcement process in these cases would reduce many foreign countries’ negative attitudes toward the U.S. while still allowing U.S. companies to maintain a competitive advantage. This approach would also be in line with other laws on the subject. The OECD convention, which was first recommended by Congress and facilitated the U.S.’s increased assertions of jurisdiction, instructs that “when more than one party has jurisdiction over an alleged offense described in this Convention, the Parties involved shall, at the request of one of them, consult with a view to determining the most appropriate jurisdiction for prosecution.” The Restatement of Foreign Relations Law, too, suggests consideration of reasonableness and fairness in U.S. assertions of jurisdiction when the interests of other nations are implicated. Fixing the FCPA would potentially lower U.S. government costs, improve U.S relations with the rest of the world, and keep the U.S. from being known as the bully on the block, speaking softly and whacking people with a big stick. The U.S. may have set the standard when it comes to lowering the impact of corruption, but even the U.S. does not always know best. Citation: Heather Diefenbach, FCPA Enforcement Against Foreign Companies: Does America Know Best?, 2 Cornell Int’l L.J. Online 47 (2014). * Heather Diefenbach is a J.D. Candidate at the University of Virginia School of Law. She holds a B.S. in biology from Tufts University. Cherie O. Taylor, The Foreign Corrupt Practices Act: A Primer, 17 Currents: Int’l Trade L.J. 3 (2008). H. Lowell Brown, Extraterritorial Jurisdiction under the 1998 Amendments to the Foreign Corrupt Practices Act: Does the Government’s Reach Now Exceed its Grasp?, 26 N.C. J. Int’l L. & Com. Reg. 239, 241 (2001) (noting that investigations by the SEC and the Watergate Special Prosecutor uncovered the existence of overseas slush funds used to fund bribes to foreign officials). See id. at 239; see also International Anti-Bribery and Fair Competition Act of 1998, Pub. L. No. 105-366, 112 Stat. 3302 (1998). Sean Hecker & Margot Laport, Should FCPA “Territorial” Jurisdiction Reach Extraterritorial Proportions?, 42 Int’l Law J. News, available at http://www.americanbar.org/publications/international_law_news/2013/winter/should_fcpa_territorial_jurisdiction_reach_extraterritorial_proportions.html (quoting Sec. Exch. Comm’n, Response of the United States, Questions Concerning Phase 3, Organisation for Economic Co-operation and Development (OECD) Working Group on Bribery at 14 (May 3, 2010)). See Brown, supra note 2, at 297–99. See 15 USC 78dd-2(a), (h)(1). Defined as a citizen of the United States or a person who, though not a citizen of the United States, owes permanent allegiance to the United States. See 15 U.S.C. 78dd-2(i)(2); 8 U.S.C. 1101(a)(22). See Hecker & Laport, supra note 6. Dept. of Justice & Securities and Exchange Comm., A Resource Guide to the U.S. Foreign Corrupt Practices Act 11 (2012) [hereinafter Resource Guide], available at http://www.justice.gov/criminal/fraud/fcpa/guide.pdf. See Hecker & Laport, supra note 6 (citing Magyar Telekom, Plc., No 1:11CR00597, Information at 8–9 (E.D. Va. Dec. 29, 2011)). See also U.S. v. JGC Corp., No. 11-cr-260, Information ¶¶ 20(e), 22 (S.D. Tex. Apr. 6, 2011) (asserting jurisdiction on the basis of wires transfers through U.S. banks). See Shearman & Sterling, FCPA Digest: Recent Trends and Patterns in FCPA Enforcement 5 (2012), available at http://www.shearman.com/~/media/Files/NewsInsights/Publications/2012/01/Shearman–Sterlings-Recent-Trends-and-Patterns-i__/Files/View-January-2012-iRecent-Trends-and-Patterns-in__/FileAttachment/FCPADigestTrendsandPatternsJan2012.pdf (“Our analysis of penalties over the past five years indicates that the DOJ has often, but not always, granted discounts ranging from 3% to 67% in cases involving voluntary disclosures and negotiated resolutions.”); see also Taylor, supra note 1, at 8. See Steptoe & Johnson, 2013 FCPA Year in Review 7 (2013), available at http://www.steptoe.com/assets/htmldocuments/2013%20FCPA%20Year%20in%20Review%20-%20Steptoe%20and%20Johnson%20LLP.pdf. See U.S. v. Patel, No. 1:09-cr-00335, Trial Tr. 5:11–14, 7:17–8:2 (D.D.C. June 6, 2011); see also Opinion and Order at 21, Sharef, No. 11-cv-9073 (S.D.N.Y. Feb. 19, 2013). 15 U.S.C. §§ 78dd-2(g), 78dd-3(e)(2), 78ff(c)(2); see also Brown, supra note 2, at 259. 15 U.S.C. §§ 78dd-2(g)(2), 78dd-3(e)(2), 78ff(c)(2). 15 U.S.C. §§ 78dd-2(g)(1), 78dd-3(e)(1), 78ff(c)(1). Resource Guide, supra note 12, at 68 (citing 18 U.S.C. 3571(d)). See Steptoe & Johnson, supra note 16, at 2. See Leslie Wayne, Foreign Firms Most Affected by a U.S. Law Barring Bribes, N.Y. Times, Sept. 4, 2012, at B1. US Department of Justice, US Securities and Exchange Commission Initiate Record-Setting Anti-Corruption Enforcement Actions Against Large Corporations, Shearman & Sterling (Jan. 20, 2011), available at http://www.shearman.com/en/newsinsights/news/2011/01/us-department-of-justice-us-securities-and-excha__. Dept. of Justice, Response of the United States: Questions Concerning Phase 3, OECD Working Group on Bribery 33 (May 3, 2010). Shane Frick, “Ice” Capades: Restitution Orders and the FCPA, 12 Rich. J. Global L. & Bus. 433, 436 (citing FCPA Fines: Where Does All the Money Go?, TRACE blog (Feb. 13, 2009), http://traceblog.org/2009/02/13/fcpa-fines-where-does-all-the-money-go). Dept. of Justice, Response of the United States: Questions Concerning Phase 3, OECD Working Group on Bribery 34 (May 3, 2010), available at http://www.justice.gov/criminal/fraud/fcpa/docs/response3.pdf. Deferred Prosecution Agreement, United States of America v. Statoil ASA, No 06 Crim 960, *14 (SDNY filed Oct 13, 2006) (reducing Statoil’s U.S. 10.5 million penalty by $3 million in consideration of the penalty the company already paid to Norwegian authorities for the same conduct); see also Charles F. Smith & Brittany D. Parling, “American Imperialism”: A Practitioner’s Experience with Extraterritorial Enforcement of the Fcpa, 2012 U. Chi. Legal F. 237, 242 (2012). See Smith & Parling, supra note 29, at 244. See Steven R. Salbu, Extraterritorial Restriction of Bribery: A Premature Evocation of the Normative Global Village, 24 Yale J. Int’l L. 223, 226–27 (1999). See Smith & Parling, supra note 29, at 252. See Hecker & Laport, supra note 6; see,also Dietmar Hawranek, Daimler Upset with Over-Eager American Oversight, Spiegel Online International (Dec 13, 2011), www.spiegel.de/international/business/0,1518,803350,00.html. Mike Koehler, Is ICE a Victim? And an Open Question!, FCPA Professor (May 25, 2011), http://www.fcpaprofessor.com/is-ice-a-victim-and-an-open-question. Stuart E. Eizenstat, Under Sec’y of State for Econ, Bus and Agric. Affairs, Testimony on the OECD Convention on the Bribery of Foreign Public Officials in International Business Transactions before the Senate Foreign Relations Committee (June 9, 1998), in 1998 WL 304007 (F.D.C.H.) [hereinafter Eizenstat Testimony]; see also Brown, supra note 2, at 287 (“Since the passage of [the pre-amendment] FCPA, American businesses have operated at a disadvantage relative to foreign competitors who have continued to pay bribes without fear of penalty.”). See Eizenstat Testimony, supra note 36. China, Chile, Ireland, Peru, Israel, Luxembourg, Russia, the Slovak Republic, Spain, Turkey and Ukraine have all updated their anti-bribery frameworks relatively recently; Brazil, India and Indonesia have been discussing proposals to improve their anti-corruption frameworks. See Transparency Int’l, Trends in Anti-Bribery Laws (2012), http://www.transparency.org/whatwedo/answer/trends_in_anti_bribery_laws. Convention on Combating Bribery of Foreign Public Officials in International Business Transactions, art. 4(3), Dec. 18, 1997, 37 I.L.M. 1. Restatement (Third) of Foreign Relations Law of the United States § 403 cmt. a (1987).